A first half demolition job from Marconi Stallions have condemned Sydney United 58 to a humiliating 5-0 loss at Marconi Stadium on Saturday Night. The Stallions star studded line-up was at their destructive best as they scored five unanswered goals in the first half to claim an emphatic victory against their local rivals. New recruit Mitch Mallia opened the scoring inside the first 60 seconds before braces to Marko Jesic and Mirjan Pavlovic secured the five goal drubbing. It was a shock result for third placed United 58 who had no answers in a tough day at the office for the Miro Vlastelica coached outfit. The game got underway in the best possible way for the Stallions when a long range cross from the right by Anthony Frangie found Mitchell Mallia at the far post and all he had to do was tap it in from short range. The spectators had hardly got comfortable in their seats as this opening goal arrived only seconds after kick-off. It should really have been two in the fifth minute when Mallia was played beautifully through the middle but, one-on-one with the goalkeeper Thomas Manos. He couldn’t beat the Sydney United custodian who made a great save with his foot. Marconi doubled their lead in the ninth minute when a delightful ball over the top found a galloping Jesic who, with a clinical finish, slid the ball home. It was electrifying stuff at Marconi Stadium as the goal scorer raced towards the fence to celebrate. It was three in the 19th minute when a pinpoint, perfect free-kick from Jesic found Mirjan Pavlovic in the box and he simply glanced the header home. One could hardly keep up such was the pace of the action at Marconi Stadium. Midway through the first stanza of play the referee Tim Danaskos brought a halt to proceedings for a short while when there was a crowd disturbance. Play didn’t stay put for long though as tempers settled fairly quickly. And it was five after 31 minutes when Giorgio Speranza cut the ball back for Pavlovic who scored from an unmarked position. It was too simple for Marconi in what was proving to be an insane first half of football. It could have been six in the 42nd minute when a cross by Frangie was met by Brandon Vella but the ‘keeper Manos did very well to punch it away. Just prior to the break there was an incredible miss by Jordan Roberts. Totally unmarked, Vella received the ball but Nenad Vekic with a deflection managed to get it just a fraction wide for a corner. It was Sydney United’s only real chance in the first stanza of play. The second half didn’t reproduce anything near the first half’s high octane display.  In fact it was an unusual sight to see one team – Marconi – standing on the pitch for nearly four minutes waiting for Sydney United and the match officials to re-join them to kick-off proceedings. The 65th minute saw substitute Gallegos-Berriel fire from long distance for the visitors but Vekic had it covered. There was almost immediate reply when Mallia sprinted away unmarked and charged towards the Sydney United goal, only to fire just over the crossbar. Two chances for Marconi materialized in a minute. It was the 71st and Frangie with a powerful diagonal shot only just missed the target and immediately afterwards Jesic went on a sprint, but in the end his powerful drive couldn’t beat Manos. In the 75th minute Tariq Maia found himself on the end of a run for Sydney United and then, when he found himself within striking distance, he unleashed a shot that was turned way for a corner by a well-prepared Vekic. In the 79th minute Yianni Nicolaou brought down Peter Simonoski in the box and referee Tim Danaskos didn’t hesitate and indicated the spot. Up stepped Anthony Tomelic but Vekic, with a brilliant dive to his right, prevented Sydney United from scoring and registering a goal albeit one from a penalty. After the game Marconi coach Peter Tsekenis wasn’t getting too carried away with the winning margin. “Some things haven’t been going our way but today I gave them certain instructions and they were just clinical,” he said. “I was blown away with the effort, sticking to the game plan and it makes a difference when you take your chances. Over in the Sydney United 58 dressing room coach Miro Vlastelica recognised that all the damage was done early on. “We came out in second-gear,” he said. “We copped the first goal in under a minute, then there was a second goal and then we went into a shell. At halftime I said go out and show some character and we tried to play better football. MARCONI STALLIONS: 1.Nenad Vekic, 3.Giorgio Speranza, 4.Roberto Speranza, 7.Sean O’Connell (16.Liam Youlley 63’), 9.Anthony Frangie, 10.Marko Jesic, 11.Mitchell Mallia, 13.Yianni Nicolaou, 19.Zach Cairncross (5.James Baldacchino 46’), 21.Mirjan Pavlovic (15.Lachlan Sepping 82’), 23.Brandon Vella. SYDNEY UNITED 58 FC: 21.Thomas Manos, 3.Jordan Roberts, 5.Anthony Tomelic, 8.Matthew Sim (23.Luke Vlastelica 74’), 9.Patrick Antelmi (10. Sebastien Gallegos Berriel 52’), 11.Yianni Perkatis, 12.Liam Rose, 13.Sam Perre (7.Peter Simonovski 46’), 15.Tariq Maia, 18.Glen Trifiro, 19.Joshua Macdonald.